Washington State-based debt collection agency Grimm Collections, one of the leading accounts receivable management firms in the Pacific Northwest, has hired Mike Buse as Regional Sales Consultant. Buse brings with him over 20 years of combined experience in sales, customer service, and debt collection and hopes to help promote Grimm Collections community-focused approach to debt collection. Mike shares our belief that the days of intimidating consumers and using aggressive collection tactics are long gone, said David Grimm, President and CEO of Grimm Collections. He understands, like we do, that the key to successful collections is being sympathetic to a consumers situation and finding a payment arrangement that works for both the consumer and the lender. Buse graduated from Central Washington University in 1992 with a B.A. in Public Relations. After college he worked for Equifax as a bill collector where he eventually became assistant manager, working exclusively in student loan collections. Since then, Buse has held numerous positions in the collections and customer service industries, where he feels he as built a strong background in consultative solutions and has learned to maintain a professional, sensitive attitude while handling delinquent accounts. 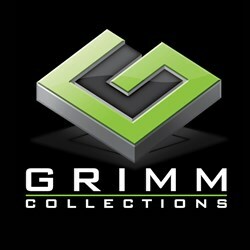 I couldnt be more excited about joining the Grimm Collections team, Buse said. Grimms consumer-friendly vision for debt collections is something I am proud to become a part of, and I look forward to bringing my years of industry experience to Grimm Collections and their clients. Founded in 1945, Grimm Collections is a family-owned debt collection agency based in Tumwater, Washington, serving municipalities, hospitals and businesses in the Puget Sound area and across the entire Pacific Northwest. Learn more online at http://www.GrimmCollections.com. Written by: Sushil Kumar on September 22, 2013.